The U.S. Department of Energy’s (DOE’s) Clean Cities program advances the nation’s economic, environmental, and energy security by supporting local actions to cut petroleum use in transportation. Clean Cities has saved more than 7.5 billion gallons of petroleum since its inception in 1993. At the national level, the program develops and promotes partnerships, publications, tools, and other unique resources. At the local level, coalitions leverage these resources to create networks of local stakeholders and provide technical assistance to fleets implementing alternative and renewable fuels, idle-reduction measures, fuel economy improvements, and emerging transportation technologies. Clean Cities coalitions that desire official recognized by the U.S. Department of Energy must complete a stringent process, gather partner support, and complete a detailed program plan. 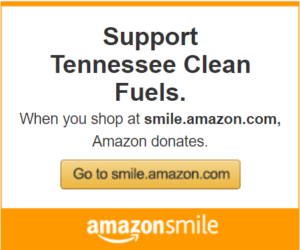 On October 12, 2004, East Tennessee Clean Fuels became an official, designated Clean Cities coalition. The process of designation took two years and was supported by many partners along the way. Over thirty of those partners attended the designation event and signed the supporting MOU along with the Department of Energy. Middle-West Tennessee Clean Fuels became an official participant in the DOE Clean Cities program the day after, on October 13, 2004, in Nashville.